If you need a cheap freezer repair or freezer parts, come to us. 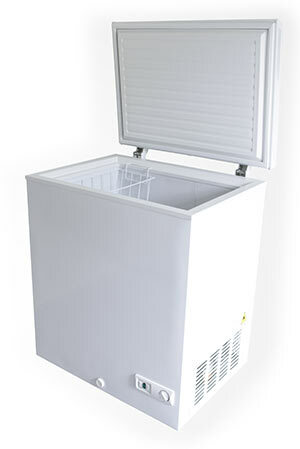 Our company specializes in providing San Marcos freezer repair. No matter what issue you are having with your appliance, we are ready to come out and make it right! We're here for all of San Marcos CA. We employ experienced and skilled technicians who are ready to tackle any appliance problems you throw their way. Contact us today and we'll check to see if you qualify for one of our may company discounts. Then we'll come to your location and inspect your freezer. The service call won't cost you anything if you choose us for your quality freezer repair in San Marcos CA. Our technician will let you know if your repair requires freezer parts. We have access to all of the brand name appliance parts, and you can feel comfortable knowing that we will bring any needed parts to you. We'll perform any necessary installations for freezer parts in San Marcos CA. Our company would be glad to help you take care of your appliance repair needs. Let us know how we can make your life easier, as we can work around your schedule to ensure that things get done on your time table. You're going to get the best service in San Marcos CA! We're here for you if you need freezer repair in San Marcos CA. Contact us today and let our team get to work for you. It'd be our honor to help you get your appliances working again. You can count on our professional staff! Your chest freezer should not be running nonstop. However, prior to contacting a professional to inspect your appliance - do a door seal test on your own. If there is a gap in the seal it can cause humid air to fill into the freezer and cold air to escape. The freezer's internal parts begin working in overdrive which often causes damage. To test the seal, place a piece of paper on the seal and close the door - try to pull the bill, if there's not a fair amount of resistance that means the seal is weak or broken.